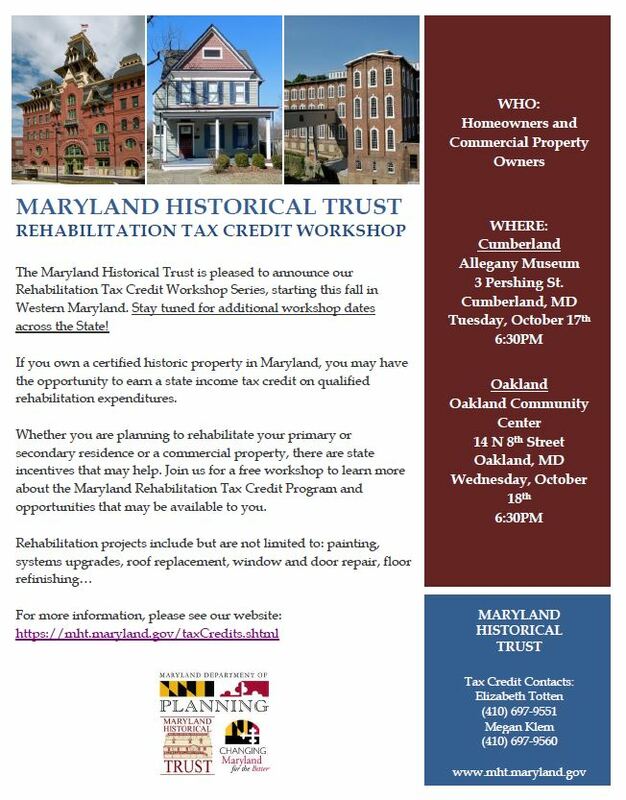 The Maryland Historical Trust is pleased to announce our Rehabilitation Tax Credit Workshop Series, starting this fall in Western Maryland. Stay tuned for additional workshop dates across the State! If you own a certified historic property in Maryland, you may have the opportunity to earn a state income tax credit on qualified rehabilitation expenditures. Whether you are planning to rehabilitate your primary or secondary residence or a commercial property, there are state incentives that may help. Join us for a free workshop to learn more about the Maryland Rehabilitation Tax Credit Program and opportunities that may be available to you.